MEATPACKING DISTRICT, Manhattan (WABC) -- A taxi jumped a curb on Saturday around 2 p.m. at Washington Street and West 14th Street in the Meatpacking District. 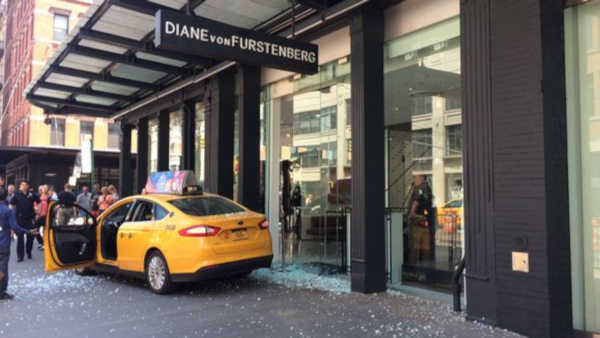 The cab landed in front of a Diane von Furstenburg store on 874 Washington Street. There was some damage to the storefront. No one was injured. The incident is under investigation at this time.